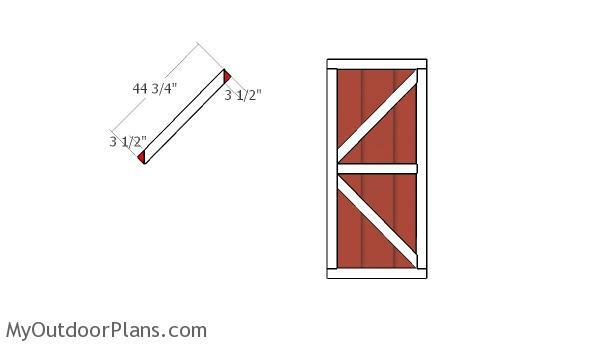 This step by step diy project is about shed double doors plans. 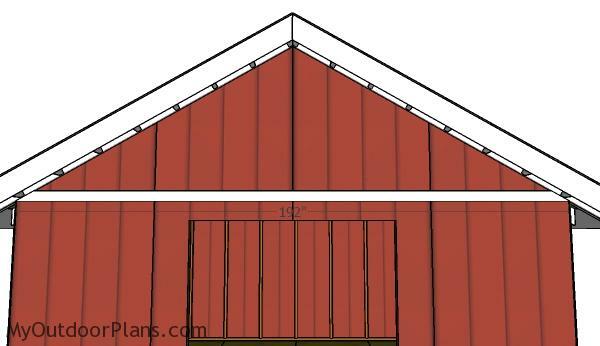 This article is PART 3 of the 16×16 gable shed project, where I show you how to make the double doors for the shed. 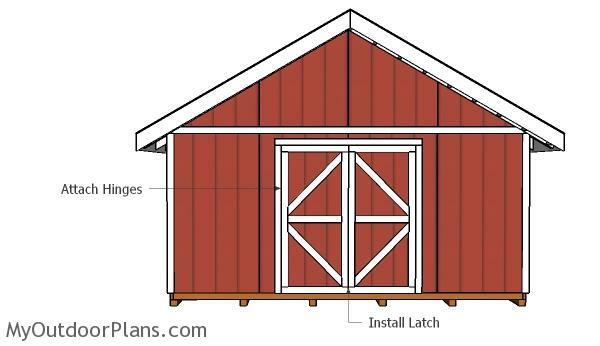 In PART 3 I also show you how to attach the trims to the shed, so you get the job done in a super nice manner. Take a look over the rest of my woodworking plans, if you want to get more building inspiration. Make sure you follow me on Facebook to be the first that gets our latest plans and for some other exclusive content. Also, follow me on Pinterest to get many ideas for your backyard from all the internet! Check out our YouTube channel! See how you can Support Me with no extra costs to you. 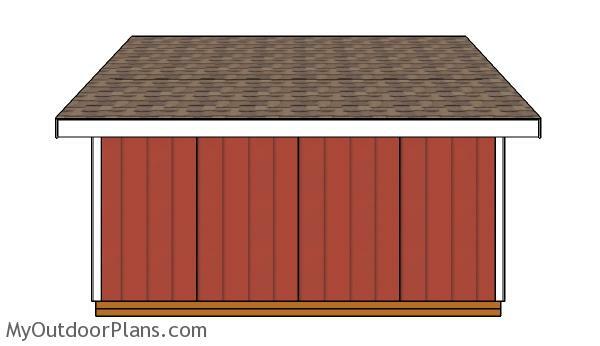 For this project, I recommend you to use the panels that you have cut out when attaching the siding around the opening. Use sandpaper to smooth the edges with sandpaper. Attach the 2×4 trims to the panels. Align the edges flush and secure the trims into place with 2″ nails or screws. 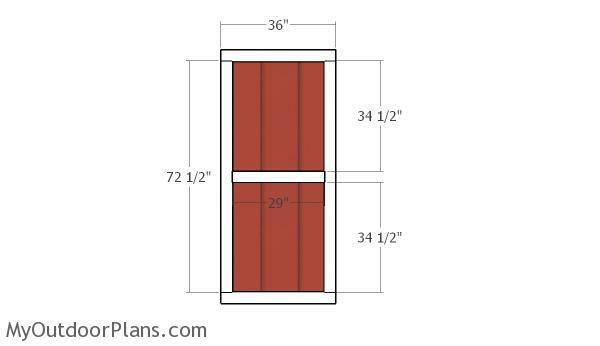 Cut the diagonal braces from 2×4 lumber and then lock them into place with 2″ screws. 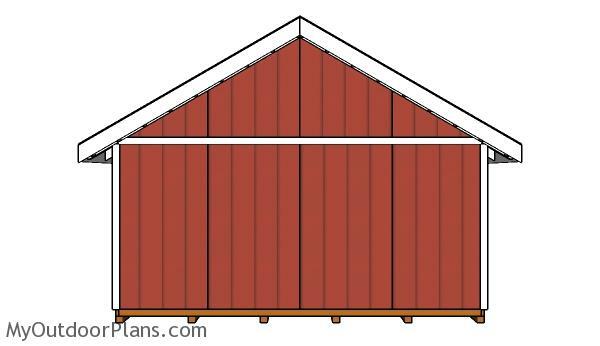 Fit the horizontal 1×4 trims to the front and back of the shed, as shown in the diagram. Align the trim at both ends and then secure it into place with 1 1/2″ brad nails. Fit 1×4 trims to the corners of the shed. Align the trims with attention and the lock them into place with brad nails. Fill the holes with putty and then smooth the surface with 120-220 grit sandpaper. Attach 2×4 slats around the door opening. Align the edges flush with attention and secure them into place with 2 1/2″ screws. Fit the double doors to the openings and lock them into place with hinges. In addition, you need to secure a latch, so you can lock the doors into place tightly. 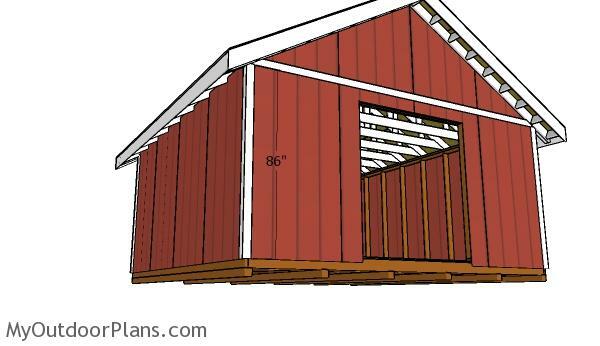 Seen from one side, the 16×16 shed has a neat appearance. 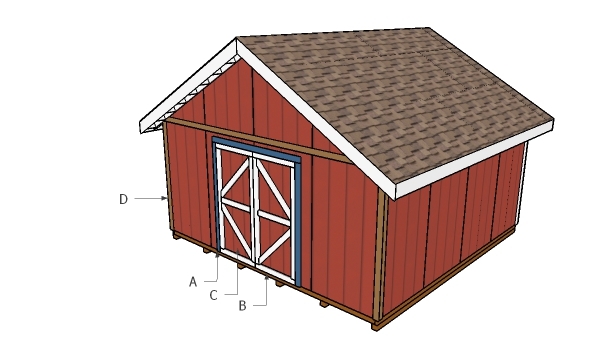 If you choose the right color mix, this shed can blend in easily with any project you have on your property. Seen from the back, the shed has a straight forward shape. Remember that this project is more about storage space and less about a spectacular design. Apply a few coats of paint over the siding and over the trims, so you get a nice appearance. 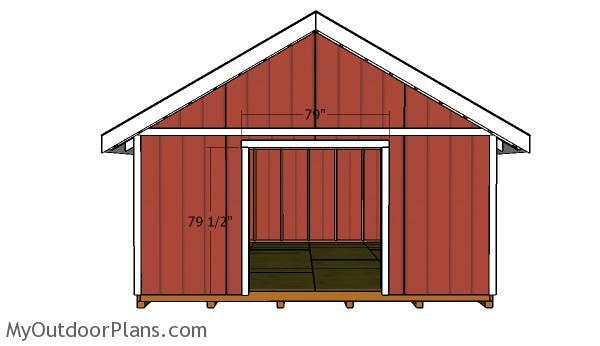 Don’t forget to take a look over PART 1 and PART 2 of the shed project, so you learn how to frame the frame and the double doors of the barn shed. 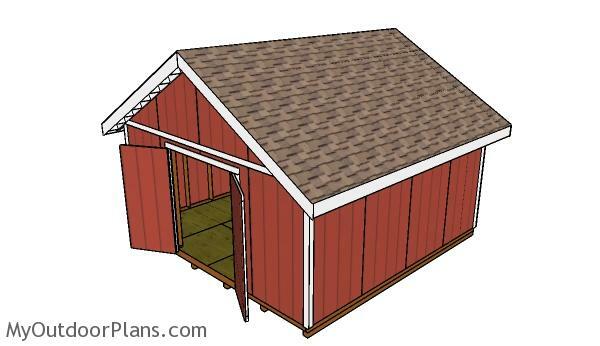 I have many more shed plans on the site, so don’t forget to check them as well HERE. This woodworking project was about shed double doors plans free. If you want to see more outdoor plans, check out the rest of our step by step projects and follow the instructions to obtain a professional result. Looking to see if there is a statement about the amount of wind it could withhold if these plans are followed. Our city requires a 130 mile an hour wind load document. That’s quite a lot. I have no statement for the amount of wind it can withhold. However, you should read the complete local codes so it can help you check all the requirements (hurricane ties, hurricane anchors and so on). 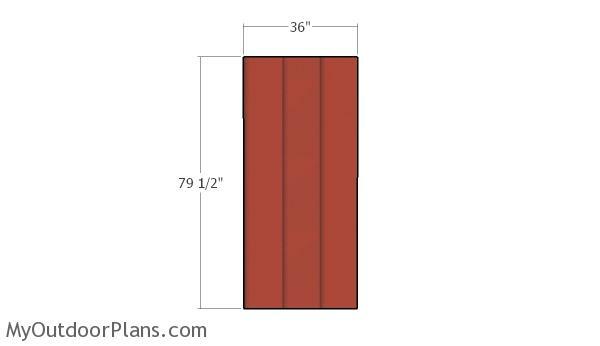 do you have the same plans with the walls 16″ on center? and the roof frame with a ridge beam. No, I don’t have plans for that.